I’m freshly returned from the Wilderness Solo gathering that is the ‘peak’, you could say, of the Four Seasons Journey. 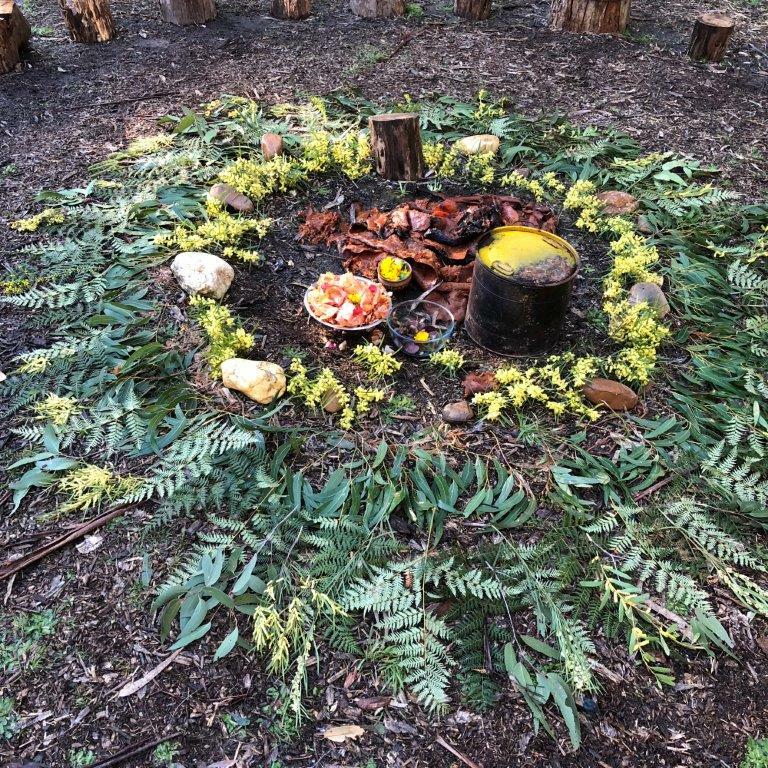 All our ceremonies, reflecting, sharing and unpacking together throughout the year lead us to this time of deep communion with the Land, this deep remembering that we are in a constant conversation with Nature, each other and All-That-Is. After nine days spent outside, some of them alone for those soloing, our interconnection becomes more and more apparent. We affect each other, and are affected by all and everything around us. This year the dialogue with the more-than-human world was more obvious than ever, and I am grateful for Nymh for her generous sharing of her Way of listening, full-bodied and passionate, for the voice of land, place, weather, wing, tree, sunlight and starlight. Deepest of bows to all my Wild Sovereign Sisters who journeyed so deeply, bringing back simple, life-changing ‘insights from the edge.’ A Yin medicine undeniable. What remains present for me are soul questions arising throughout this last cycle, invitations to change, to restructure my life. Perhaps you can hear this call too? In that liminal space between hemispheres, in the altered state of international travel (returning to Australia for this wilderness solo gathering), I became conscious that I have thrown all of the puzzle pieces of me up into the air, in shifting to a brand new place, and I really don’t know how they’ll land, and whether all of them will land ‘on the table’ or whether some will end up ‘dropped’ on the floor. And in that spaciousness, in facing potential losses of identity, there has also been room to hear some of my deep longings, those which are waiting within me to be sung up in fullness. What brings me joy? Where is my joy? How can I nurture it, follow it more with my time and energy? Why do I let myself feel/get so busy, when busyness clearly and rapidly melts my joy? If I am deeply nourished by spaciousness, if solitude can bring me to a state of ecstasy and peace in a remarkably short space of time, why on earth don’t I make more ROOM for these things? Why don’t I schedule them in, negotiate with those around me so they can be a more regular part of my life? Joy, it seems to me, is like Vitamin D for the soul. We bathe in the joy of our heart, tangibly and necessarily nourished and sustained, just as we are tangibly and necessarily nourished and sustained when our bare skin receives the warmth and light of the Sun. Following our joy isn’t just an ‘option’ or something to do when all the other jobs are done. Without joy we can’t do ANYTHING well! Joy fuels our action, and is a regular ‘signpost’ when we are on the ‘right track,’ a natural outworking of walking our own path, our Truth. Joy buffers us when we are inevitably knocked and wobbled. And in the same way, a lack of joy is a signpost of an unsustainable way of living. A pace than can only be carried for a short time. A way of being that can’t go on forever. I’m not talking about a surface happiness, something that makes no room for our sadness. In my experience, grief and joy are two sides of the same coin. The skillset required to stay present to both is the same. Tears can lead to laughter, just as laughter can lead to tears. So, this is my New Moon prayer, singing up spaciousness and joy! And what is your New Moon prayer? Does your schedule offer you regular doses of joy and joyful activity? How can you take one little step away from being so busy?